Want to escape in winter? Discover 3 destinations to enjoy the sun! Winter in the sun? Want to escape the bad weather and the cold of the winter that settles? 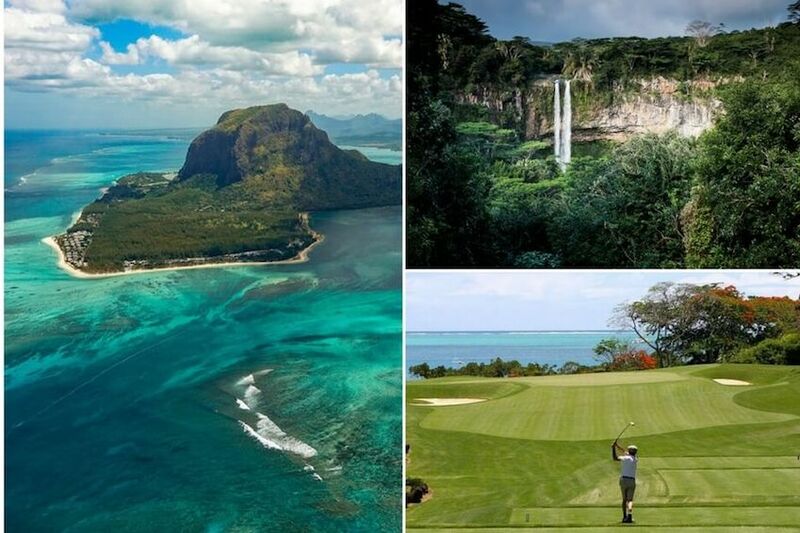 Discovering natural and cultural wonders in four corners of the world, Villanovo have found 3 ideal destinations to enjoy the sun in winter: Mauritius, in the Southwest of the Indian Ocean, Sri Lanka and the Caribbean, as well as Indonesia in Asia. A hot and humid austral summer from November to April is the perfect time to sunbathe in the European winter. A perfect balance of divine beaches and the wild atmosphere of the land in the heart of local experiences, welcome to Mauritius! A true island destination with its white sand beaches and turquoise waters, this little paradise on earth is full of pearls of all kinds. On the East coast, the deep blue of Blue Bay is renowned for the incredible diving spot of "The Pass". At the turn of an excursion on the Ile aux Cerfs, set foot in the charming little fishing town of Trou d'Eau Douce at the edge of a translucent bay. Enjoy fabulous water activities: diving in the seabed in search of the coral reef, rays and underwater wrecks, swimming with the dolphins and soaring over the waves on a windsurfing board. Take the time to immerse yourself in the clear water of Flic en Flac at the junction of the Black River on the West Coast of the island and admire the unlikely natural settings of Trou aux Biches in the North and Morne in the South, the best place for an experience in kitesurfing. All of this is possible as our villas are nearby. In a wild atmosphere and authentic landscapes, in the heart of Rodrigues island of the Mascarene archipelago, indulge in outdoor activities. Surrounded by cliffs and fishing hamlets, the natural scenes along the hiking trails and canyoning circuits have to inspire you. Want a total immersion? The crossing of exuberant vegetation and huge waterfalls gorges and valleys will lead you to the Black River Gorges National Park or to those of Tamarin and Chamarel with its land of 7 colours. For golf enthusiasts, swing on the green in exceptional surroundings of lush flora and fauna. The traditional Chinese New Year at the end of January, Holi the colourful Indian festival of the charming city of Goodlands in February or even the Maha Shivaratri, the biggest Hindu festival in the heart of the temples of the sacred lake of the Great Basin of March... soak up the atmosphere of the local festivities of Mauritius! A visit to the tea plantations tempts you? Enjoy an unlikely discovery in the middle of agricultural plots and plants with exquisite scents, a real treat for the senses! Mauritius is also known for its culinary wealth. The accuracy of the mixture of European, Creole, Chinese and Indian cultures offers a Mauritian culinary postcard of the most enticing. "The island of jewels", flagship destination of your stays in the sun! At the rhythm of dry seasons from December to March and spice fields that coexist in perfect balance with beaches lined with coconut trees, explore the 1,000 wonders of this Eden of the Indian Ocean. Lounging on the splendid expanses of sand and enjoying the sun with the gentle echoes of the waves, the Sri Lankan beaches are ideal for a moment of relaxation and well-being. Located in South-East India, these sumptuous natural spaces offer a perfect setting for explorers and dreamers. 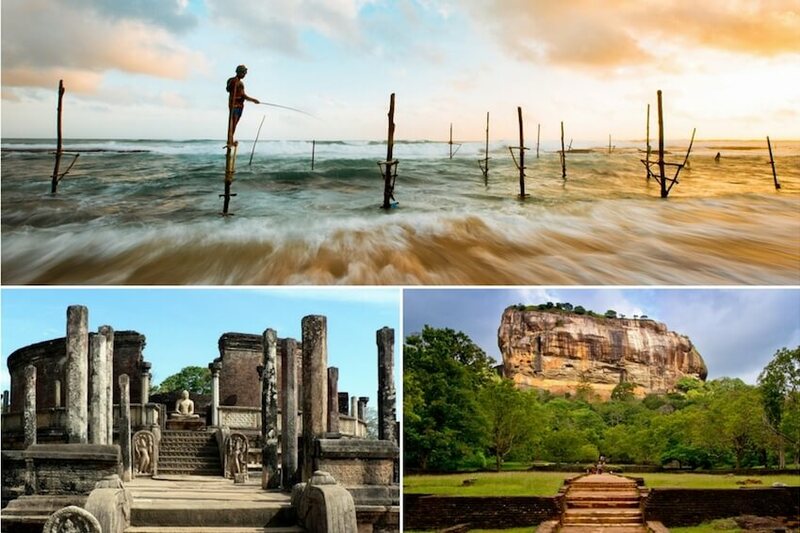 Mirissa, Arugam Bay, Batticaloa or Weligama..all these spots will delight you! Watch the whales on the mesmerising melody of the swell and the sea breeze enjoying nautical activities of strong sensations. Diving, snorkelling and surfing around the coast... a whole range of fun to discover at the reef of dolphins in Bar reef, the reef of Great Basses with its ray eagles, or Batticaloa with the wrecks of the past. Guaranteed thrills with rafting descents, hiking trails and unusual discoveries in the tropical coves in the South of Tangalle! For a 100% relaxing stay, Villanovo offers luxury villas with a private pool and house staff. Looking for an absolute change of scenery? In our secluded villas, enjoying an unforgettable stay, you can explore unusual lands, visit ruined temples and lost cities. These Buddhist places are full of treasures: Mulkirigala, leaning against a rocky cliff, the Temple of Tooth, the soul of the Buddhist religion and the oldest tree in the world of Sri Maha Bodhi. Are you ready for anything? Climbing the thousands of steps of the legendary Mihintale Temple to reach the top of its mountain will take some effort. Surrounded by lush forests of national parks, you will have the opportunity to admire a rich and varied fauna and flora. In these wild spaces, you will fall in amazement at the sparkling elephants, the hundreds of colourful birds and the sumptuous felines. At the edge of preserved scenery, paths will allow you to browse the tea plantations of Ella or the archaeological sites of Polonnaruwa of Buddhist culture. Between traditions and stories, the region will lead you to the discovery of exquisite flavours. While strolling in the markets of the region, enjoy the local exotic fruits and vegetables. On a gargotte downtown or on the edges of the beach, spices, pol sambol or coconut that arise in the vicinity, will be at the excitement for all. For an immersion in the local culture, the locals and their memorable hospitality will feast with you at the best parties! The Buddha's first visit to Sri Lanka will be celebrated with the Duruthu Perahera celebration on the full moon in January. Stroll through the Kala Pola art market at the same time, with more than 500 artists exhibiting their work while participating in the traditional ceremonies of Maha Shivaratri in ancient cities to the rhythm of parades and festivities. Do not resist the call of the legendary mysteries of Indonesia. This lost paradise is full of miracles of nature. Far from the cold of winter, enjoy an enchanting walk in the centre of landscapes with incredible colours! 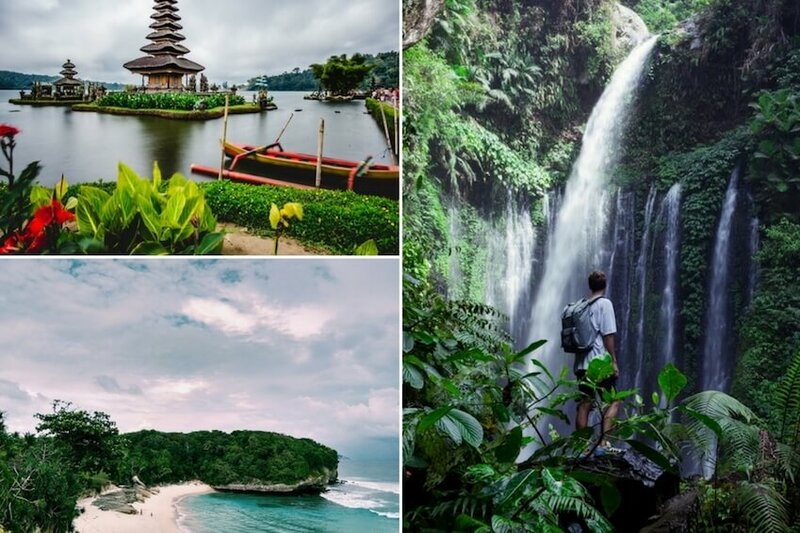 Indonesia offers a range of wonderful places to visit. Along the coral walls or in the hidden coves, observe the natural riches of the deep turquoise waters during your diving and snorkelling excursions. Paddling or surfing near palm-lined beaches in Lombok are must-see activities! Most popular spots: Cimaja, Pacitan and Batu Karas. 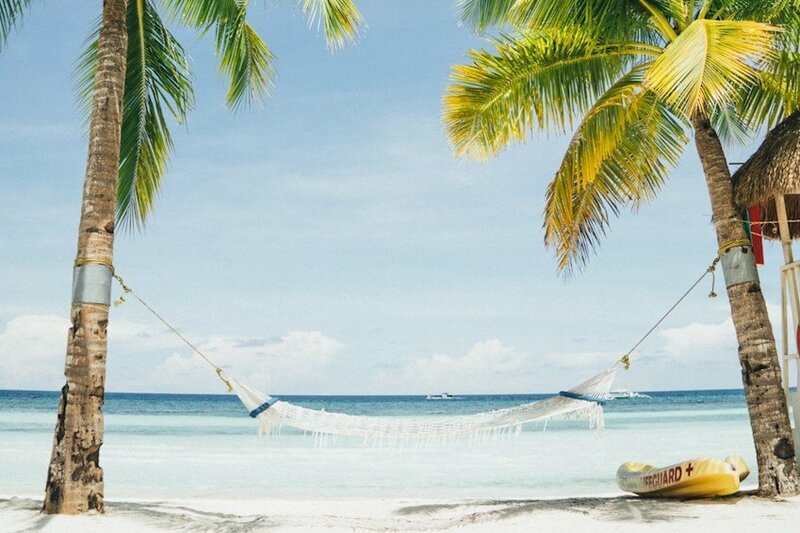 Settling off this wild coast to escape the cold winter of the season on the white sand beaches of the Gili Islands, savouring delicious seafood platters, it's a heavenly experience to enjoy. In these places of pure serenity, admire the turtles and sharks that inhabit the seabed of the Moluccas, off Pulau Hatta. It is indeed within our luxury villas that you can enjoy these exceptional views of the ocean. In the middle of dense and pigmented tropical greenery, the country offers a real playground for mountaineers and amateurs of extreme activities. The volcanic archipelago is full of unexpected climbs to the high peaks with breathtaking views. Admire the sunrise on the heights of Mount Rinjani with its majestic view of a volcanic lake and beautiful sunsets from our villas in Bali. For more thrills, lose yourself in the hundreds of miles of jungle by hiking or trekking and glide rafting in the white water of rivers and hot springs. One of the seven natural wonders of the world is also waiting for you in Komodo National Park with its improbable Komodo dragons and all its wealth of primates, felines, elephants and rhinos. With the music of traditional Balinese dances and its artists with sophisticated costumes, your entry into the fascinating world of Hindu culture will be festive. Along the traditional paintings of Java, travel through the secret temples of these distant lands. One of the largest, the temple of Borobudur is a magnificent vestige of the past. That of Pura Tanah Lot of West Bali, will impress you just as much. Strolling through the colourful markets, looking for amazing flavours of Chinese and Indian influences, you will taste traditional dishes such as nasi goreng, or karedok salad with spicy touches. During your stay, you can also enjoy traditional festivals: the Lombok nyale fishing party around bonfires or even more Pasola, the Nusa Tenggara harvest festival celebrated throughout the region, with its hawkish rituals.